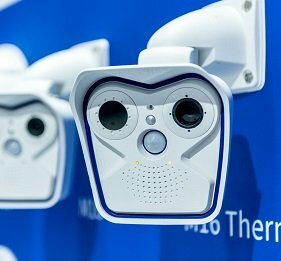 Hanwha Techwin has won two prestigious design awards, for AI-powered security manager application Wisenet Circle and its BabyView eco baby monitoring system. Run by iF International Forum Design, The ‘iF Design Awards rewards excellence in design and received more than 6,400 entries from 54 countries for the 2018 edition. Wisenet Circle, whose object and voice recognition functions are honed by artificial intelligence technology, came out top in the professional concept category. Judges were impressed by the quick and intuitive implementation of complex security functions. BabyView eco, which triumphed in the product category, is a baby monitoring system with a long tail design. The product is available in Europe during the second quarter of 2018. “It’s a great honour to win the ‘iF Design Award’ again this year,” said Bob (HY) Hwang, managing director of Hanwha Techwin Europe. “It follows on from last year’s award for our home security camera. “We will continue to research and develop innovative solutions from a user’s perspective and lead the global security market based on our company’s differentiated design and outstanding technical prowess. Hanwha Techwin, which principally develops video surveillance solutions, was among the finalists in last year’s product category with its HCR series, a lightweight manufacturing robot. Hanwha Techwin is exhibiting at IFSEC International, 19-21 June 2018, ExCeL London. You can find them on stand D100. Register now. 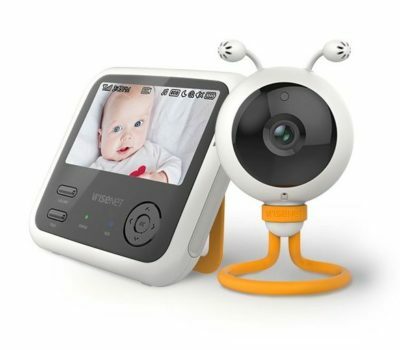 Hanwha Techwin wins iF Design Awards for Wisenet Circle and BabyView eco Hanwha Techwin has won two prestigious design awards, for AI-powered security manager application ‘Wisenet Circle’ and its ‘BabyView eco’ baby monitoring system.